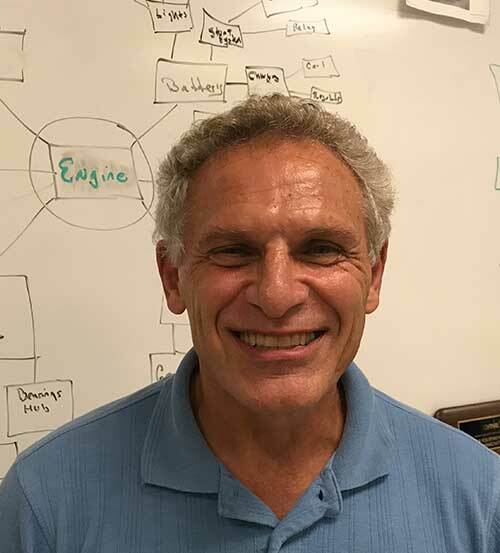 Since 1995, Jeff Cesari has been teaching power equipment technology at Bucks County Technical High School (BCTHS) in Fairless Hills, PA. His program covers the entire range of mechanical and electronic skills related to all types of power equipment, motorcycles, compact diesel engines, and marine technology. Cesari, who earned his Bachelor’s and Master’s degrees in Education from Wilkes University, also focuses on instilling in his students a wide range of soft skills to ensure that all of his students are ready for jobs after graduation. All students who graduate from Cesari’s program have scored proficient or advanced on the state’s Technical Program Examination in power technology. In 2017, Cesari was named one of 54 semifinalists for the inaugural Harbor Freight Tools for Schools Prize for Teaching Excellence. BCTHS’ Power Technology Program covers the entire range of mechanical and electronic skills related to all types of power equipment, plus motorcycles, marine technology and compact diesel engines. Armed with these skills and the opportunity to earn national certifications from the Equipment Engine Training Council (EETC), his students have a 100% job placement rate. Graduates are heavily recruited by post secondary technical schools such as Universal Technical Institute, Motorcycle Maintenance Institute and the Automotive Training Center, plus all branches of the Armed Forces. 90% of his graduates build a direct or related career in the field, and stay in touch, offer to mentor and hire other graduates. Cesari involves parents and families into his program by having them collaborate with students on projects to build students’ self-esteem and to show the immense value of their skills and work. While he is confident that his curriculum provides students the technical skills for success, Cesari expect his students to grow toward adulthood in many ways: socially, emotionally, responsibly as well as academically and technically. With a philosophy of “keeping a job is harder than getting a job,” Cesari reinforces soft skills such as how to answer and put down phones, interact with people, dropping off and picking up equipment. He expects students to come to school, dressed for success in their personal lives and at the workstation, and to maintain a clean shop. Not content with resting on past successes, Cesari has expanded his efforts to achieve levels beyond expectations. 2017 was a very special year as both parent and student enthusiasm buoyed the entire program. All graduates were employed prior to graduation, three earned at least 3 national certifications and one was a national 2nd place SkillsUSA runner-up in Power Technology. One student was valedictorian of a 350 member graduating class and also was National SkillsUSA Champion in Marine Technology. Cesari was especially proud that this past year saw a breakthrough with female students, as an 11th grade student won SkillsUSA District Gold and an 10th grade student won the coveted BCTHS TOOL Award of $3,000 in tools for her technical and academic excellence.